Do you have a child who does not like taking baths? Or, do your kids struggle when it comes to dealing with “stinky” things happening in their lives and how to deal with conflict? 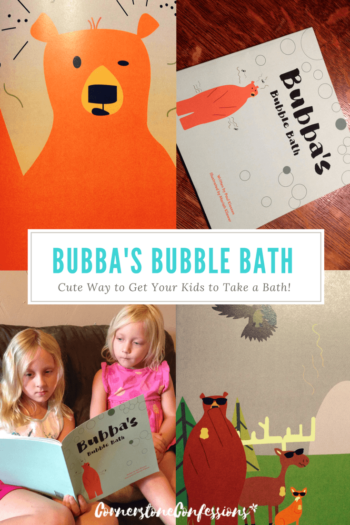 This year a dear friend of mine, Paul Klassen, and his granddaughter, Mariah Kliewer, published their first picture book called Bubba’s Bubble Bath, and it’s all about helping kids understand how to deal with “stinky” situations. Paul Klassen is a retired pastor who used to tell Bubba bear stories to his children to teach them both biblical and moral concepts as they grew up. Eventually these same stories were requested of his grandchildren too. While in college, one of his granddaughters, Mariah Kliewer, recognized the potential of these stories, and how they might benefit other children as well. With her eye for graphic design she encouraged her grandpa to tell the bubble bath story one more time so she could put the story in picture book format. 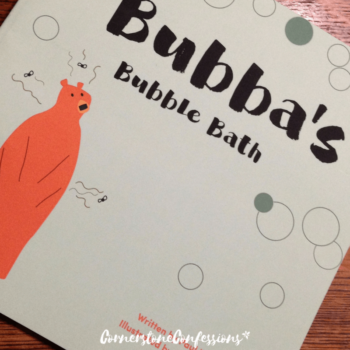 The result is this first Bubba bear story, Bubba’s Bubble Bath. It’s a delightful story about Bubba the bear who does not like taking baths. In fact, he has stopped taking baths for so long that he’s stinking up the whole forest. No one wants to be around him, not even his closest friends. Finally the forest animals come together with a plan for making Bubba presentable again. In line with Paul’s original Bubba stories he told to his children and grandchildren, there is a parent page at the back of the book to guide parents towards different discussions and activities they could do with their children upon reading Bubba’s Bubble Bath. 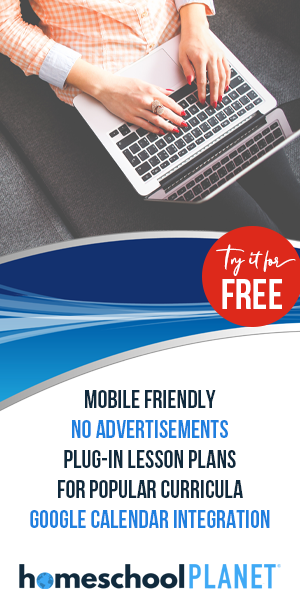 For example, one recommendation is to talk about how “making bad choices affects relationships.” There is also the inclusion of a supporting Bible verse. Bubba’s Bubble Bath’s Bible verse is Hebrews 12:11. Bubba’s Bubble Bath is sure to be a hit with families of children ages 2-8, and I most certainly look forward to a sequel as Bubba and his friends are captivating right from the start. Be sure to check it out and let Paul and Mariah know what you think of their first release! What moral or biblical challenge would you like to see Bubba face next?